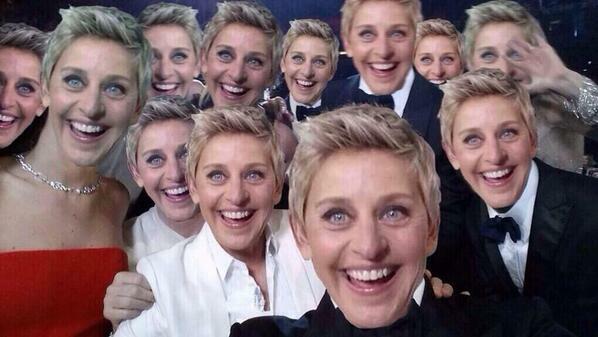 When Oscars host Ellen DeGeneres took her record-breaking "selfie" during the 86th Academy Awards social audiences responded in three ways. First, they retweeted it more than 2 million times. It broke the current record held by @BarackObama. 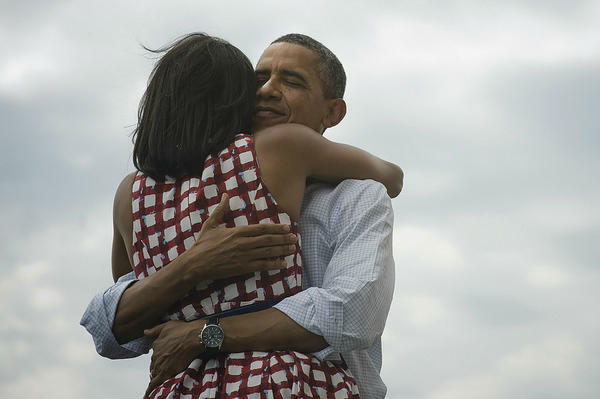 The "Four More Years" post had just more than 780,000 retweets before the Oscars began on Sunday and had was known as the "most retweeted photo ever." 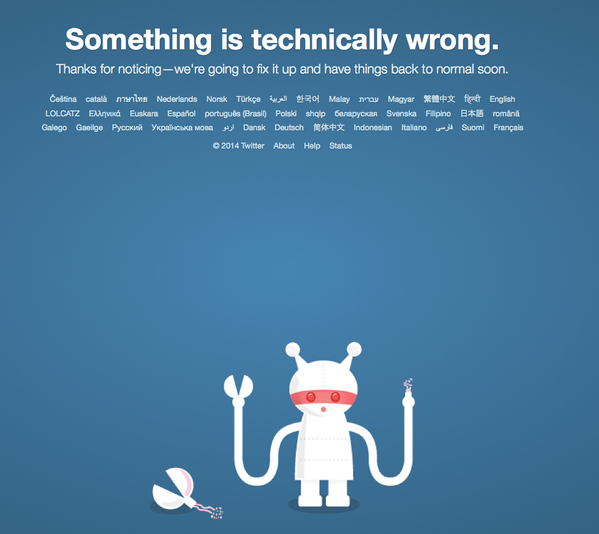 Perhaps coincidentally, Twitter began experiencing technical issues shortly after Ellen's retweet challenge. 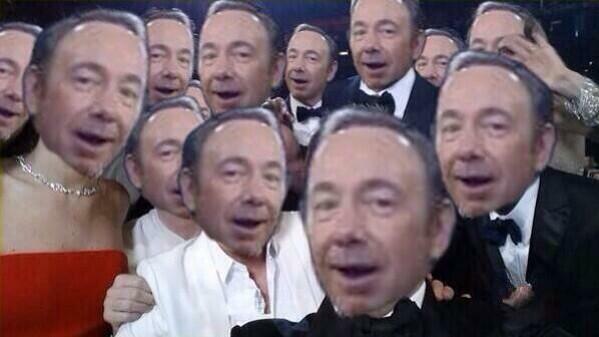 @TheAcademy quickly apologized. 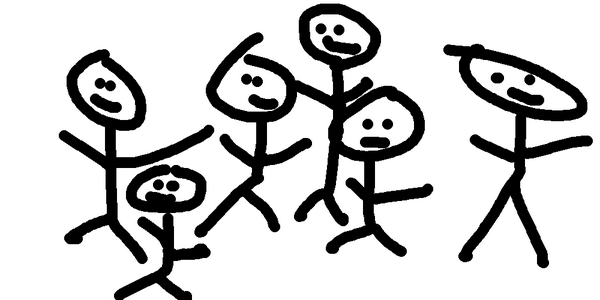 Retweets allow only for so much creativity, and Twitter soon began responding with their own interpretations, versions and Photoshopped group shots correctly known as the wefie. Philip Seymour Hoffman: A look back at the career of a Hollywood icon -- in his own words, from CNN's "Erin Burnett OutFront"
"Let it Go," as seen in "Frozen." Can you guess the last year Bob Hope served as a host? 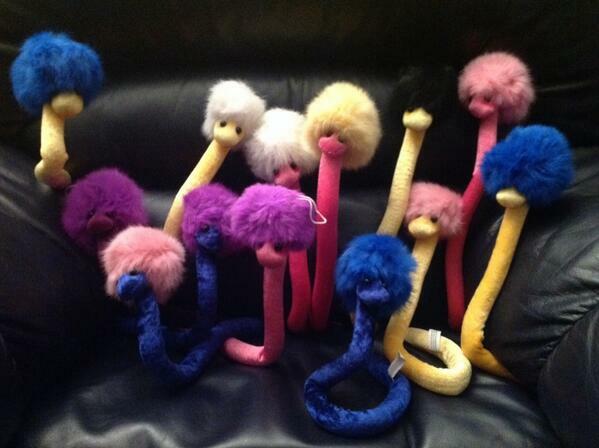 (Hint: The characters from "American Hustle" might know). 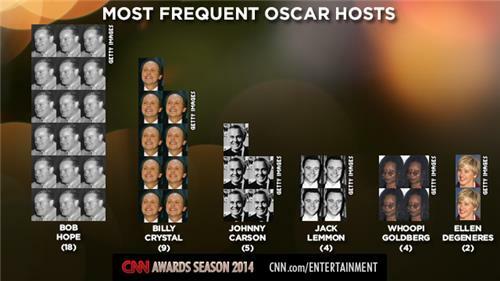 So far, Bob Hope has Ellen DeGeneres beat for Oscar hosting gigs by about ... oh ... 16 times. 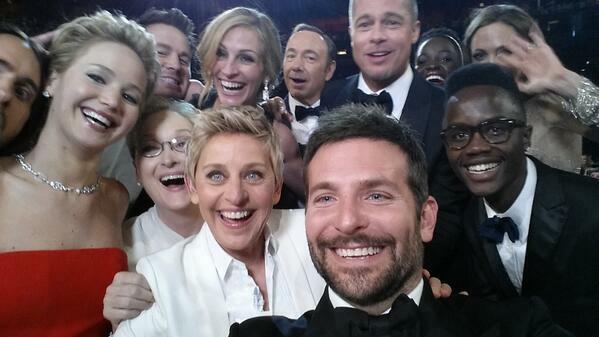 But Ellen shouldn't feel defeated; by 11 p.m., 60% of you thought she was doing a fantastic job as Oscars host. Best adapted screenplay at the #Oscars awarded to "12 Years a Slave." The #Oscar for best original screenplay is awarded to "Her." Spike Jonze calls it an "amazing moment." 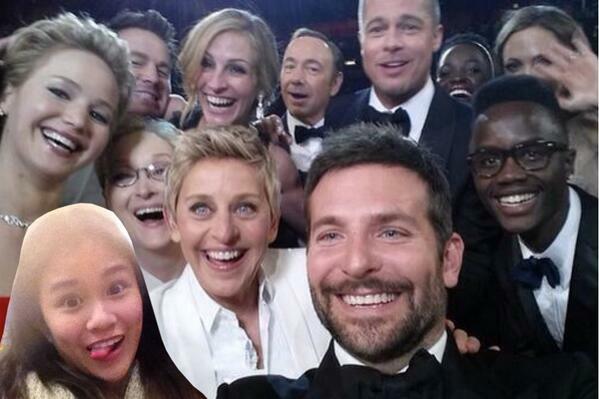 Can't get enough of Ellen's celebrity-packed selfie at the Oscars? 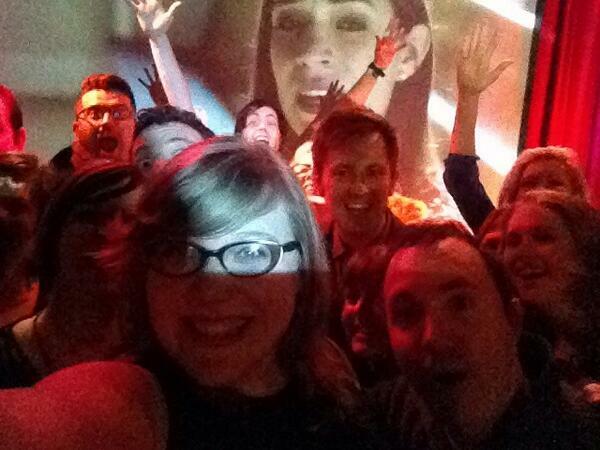 You're in for a treat: we're sharing our favorite celebrity selfies tonight. Sarah Elizabeth Jones died doing the job she loved. The South Carolina native was working as a second camera assistant when she was killed on set. Editor's note: Update: Sarah Elizabeth Jones was not mentioned in the In Memoriam list displayed during the Oscars Sunday, but was briefly seen in a graphic promoting the online "In Memoriam" gallery. (CNN) -- The film community is coming together in a touching way to honor one of their own who died on a movie set. Sarah Elizabeth Jones, a 27-year-old camera assistant, was on the set of musician Gregg Allman's biopic "Midnight Rider" when she was struck and killed by a freight train near Savannah, Georgia, on Thursday. Her death rocked the local film community, leaving many questioning who was to blame for the accident. A group of friends set up a Facebook page on Monday in tribute to Jones with a simple call to action: "Sarah Elizabeth Jones, friend and family to so many, made every day awesome. Show your slate love here along with all the good stories of her life." Film crew members from various countries immediately began sharing photo tributes, holding clapboards with messages of remembrance for her. 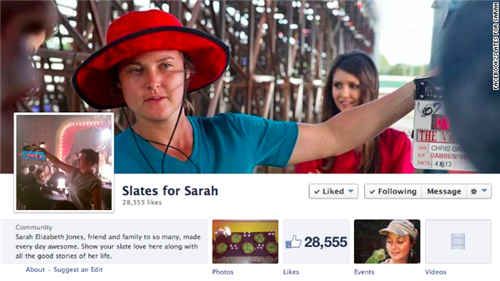 It's become a movement with more than 800 images shared on the Facebook group Slates for Sarah, which was created on Monday. As of Sunday night, more than 63,000 people had liked the page. 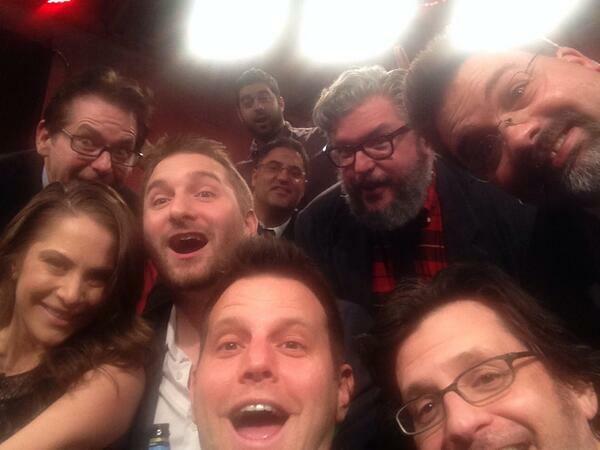 The envelope please….to @TheEllenShow - this is now the most re-tweeted Tweet with over 1 million RTs. Congrats!